Dubuque Telegraph Herald and Times Journal, 8 Apr. 1930. Waukon- Funeral services were held Monday afternoon for Mrs. Theodore Spinner, who died Friday evening at the Decorah hospital. Services were from the home near Waterville, burial being made in the East Paint Creek cemetery. Rev. A. P. Leas was in charge. Mrs. Spinner, whose maiden name was Helma Hermanson, was born on a farm in Paint Creek township 42 years ago, the daughter of Mr. and Mrs. Tollof Hermanson. This locality has always been her home. She was married 18 years ago to Theodore Spinner, six children being born to them. 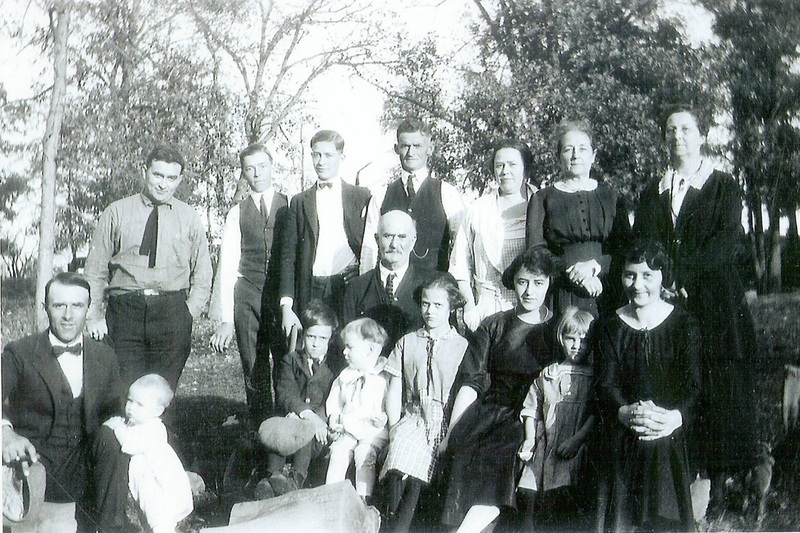 Surviving are her husband; the children, Doris, Chester, Rita, Roy, Theodore, and Howard; her mother; five brothers, Louis Hermanson of Waukon, Ben and Herman of Fargo, N.D., and Holver and Henry of Paint Creek, and three sisters, Mesdames Gilbert Kolsrud of Canton, S.D., Leonard Tysland of Miller, S.D., and Tolmena Hibberley of Minneapolis. Allamakee Obituaries maintained by Sharyl Ferrall.